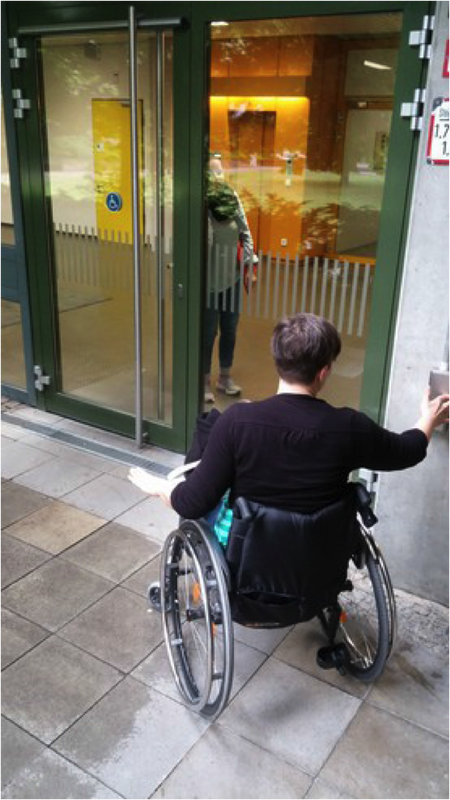 Nowadays, that is a quite common situation – and it already starts in the wheelchair user's early lives. Young children should be integrated into German public schools; that is called inclusion. But how shall inclusion work in the classroom if the future teachers won't come in touch with handicapped people during their educational training? 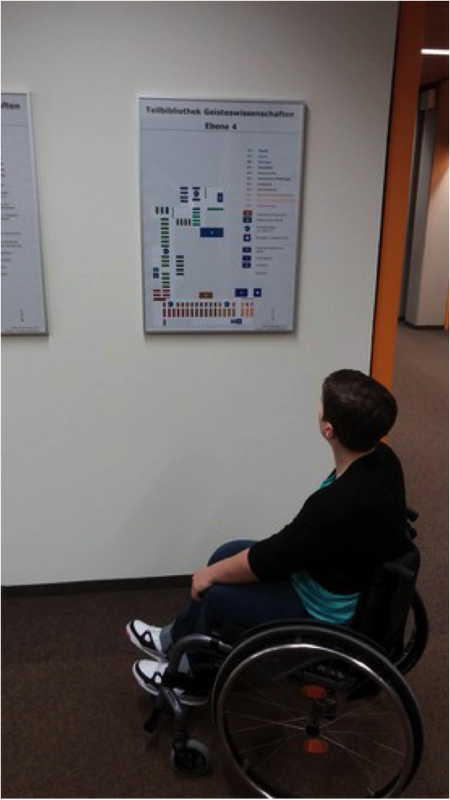 So, I decided to team up with a wheelchair user and check the University of Augsburg for their wheelchair accessibility. I wanted to know: are wheelchair users especially pushed out of universities? Of course, any executive committee would deny that question. But are they particularly welcome at the universities either? 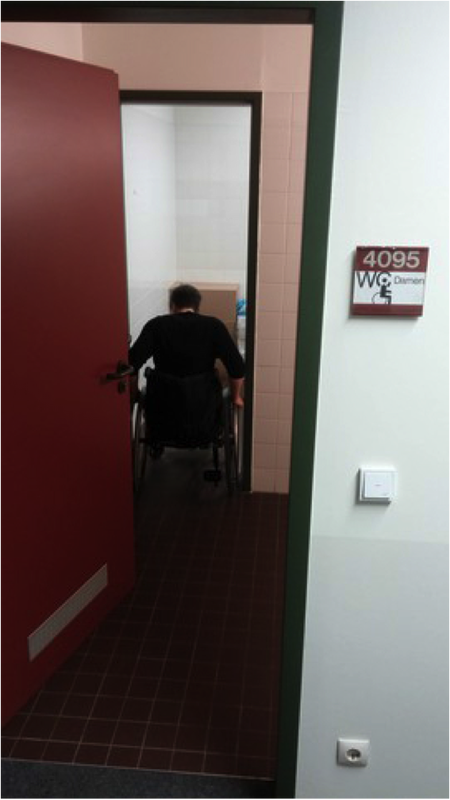 'Disabled' toilet at the University of Augsburg – You shall not pass! When we met she was very happy to get to see the University of Augsburg. We started our little tour at the exhibition parking lot and she interrupted me with a remark, 'cobblestones'. I have never noticed before but I recalled that the main routes of the university are paved with cobblestones. That is going to be a fun tour! As a wheelchair user, you are stuck at the campus. Only thanks to the help of many friendly and helpful university employees and students, we made the effort to 'survive' the campus in a wheelchair.